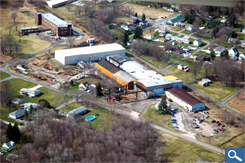 The Newton Falls facility specializes in the fabrication of ferrous and non-ferrous sheet and plate metals into specialty components and parts. Purchased in 1984, the property consists of 373,000 sq. ft. with approximately 100,000 sq. ft. under roof.